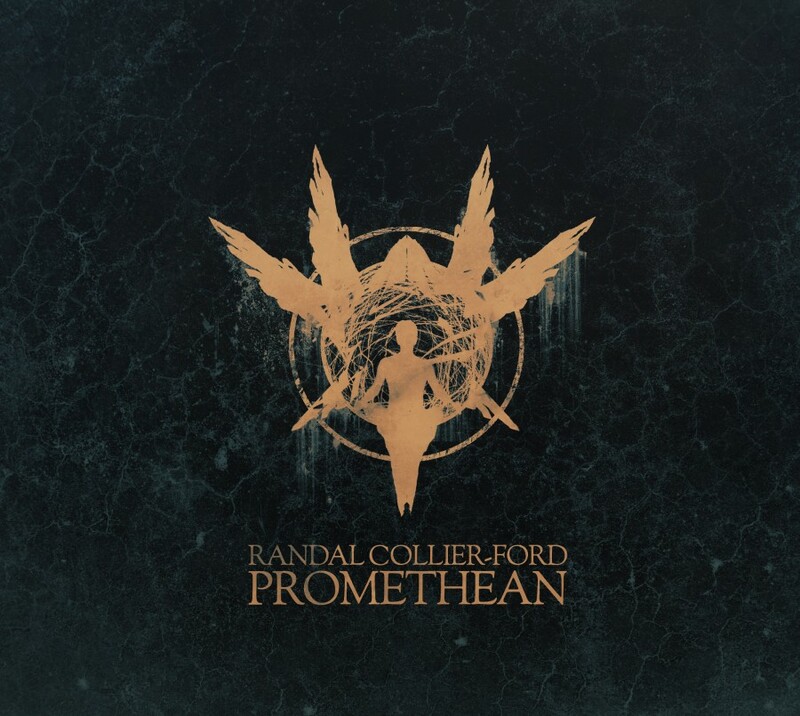 On his third release with Cryo Chamber, Randal Collier-Ford closes his apocalyptic series. Promethean follows in the footsteps of Remnants and The Architects before it, bringing listeners into a futuristic version of our world which has seen itself torn apart. But this dying planet clearly has achieved many more technological advances than are present in our current age. This gives us a futuristic story which is simultaneously bleak and imaginative, progressive in its advancements of science and robotics, but degenerative in its social stability. We are told in the album blurb for Promethean that this final chapter of the story takes place years after the events depicted in The Architects. If The Architects was the time of great advancements, Remnants was the time of their decline, and it would seem that Promethean is the time of a renewal or a wiping of the board, a clean start for whatever remains of humanity. Parallels can be drawn between this trilogy by Randal Collier-Ford and the stories of Atrium Carceri and Sabled Sun, both by Cryo Chamber label-head, Simon Heath. The story seems to be linear in its telling across this trilogy, moving toward a definite end, like that of Sabled Sun. But, like Atrium Carceri, the storyline is often blurred and not necessarily following a single protagonist through this series of events. It would seem that each album in this trilogy contains its own mini-story, all three of which connect to form the full scope of the trilogy. But, pinpointing this as a formula still won’t necessarily bring a lot of clarity. It doesn’t seem feasible to pull the whole story together in this review, though I tried hard to connect the dots. Much like the stories by Simon Heath, the hints given by Randal Collier-Ford will take time, effort and a bit of imagination to fully reveal themselves. The guessing is half the fun and each listener is likely to draw their own conclusions. The opening track, “The Breach” is certainly the most straightforward attempt to let listeners in on some of the secrets. We hear the voice of the album’s protagonist, but it is distorted, troubled and frankly hard to understand. But, with repeated listens on a good set of headphones, the passage will definitely start to come together. The story seems to pick up on Day 252 of the protagonist’s journey, or at least their documentation. We are told that there has been a possible overdose on some drug, but that this will not hold them back from continuing with their mission, whatever it may be. As we move through the album, along with the protagonist, we encounter the recurrence of crackling fires, footsteps and strong rains, usually accompanied by thunder. Within this journey across this scarred landscape we encounter a plethora of futuristic mechanical sounds. Sometimes it seems that we are moving into some industrial complex, other times we may come across some demonic robot, maybe of the sort that we were introduced to so long ago in “Construction of a Demon” on The Architects. Then late in the album on “And Hell Followed” we experience deep rumbling bass and industrial noises of some heavy machinery. Which may or may not represent the place visited during “Hellgate”, also from The Architects. The protagonist, most often seems to be making a solitary journey, devoid of other human life, but there are instances like “Arc of Thralls” which seems to be a potential point of encountering slave laborers in some industrial complex, or maybe these are just more machines. All these futuristic, industrial and robotic sounds on Promethean seem to have connections to The Architects. But, there is an equal portion of the album that pulls at a more emotional element, which makes an equally potent connection to Remnants. The setting of lonely campfires and what seems to be perpetual thunderstorms help set the emotional aspect of Promethean. Furthering adding to these elements are the contributions of Simon Heath on “Reverence of Wounds” and Northumbria on “Apotheosis”. “Reverence of Wounds” seems to be the perfect clashing of the two different elements of futuristic technology and a solitary depression. The track starts off giving vivid details of footsteps inside a building, robotic whirs and bleeps as if the protagonist is working hard in some robotics laboratory, but the track takes a dramatic turn midway through, as if the protagonist is stepping outside of this area, gazing over the scorched abandoned landscapes. The piano draws on emotions of longing and despair. We can almost imagine the dark heavy clouds hovering over a dilapidated cityscape, crumbling streets, abandoned homes and vehicles. The protagonist, reminiscing on memories of times and events that will never return, or that he may never have even been able to experience in the first place. This sentiment seems to continue as the album proceeds into “The Fruitless Lands”, another track filled with thunder, rains, contemplative drone-work and a spattering of these futuristic robotic noises which return toward the end of the track. Ending on “Rebirth Through Fire” the album takes a more positive turn. Plucked harmonics, a catchy piano tune and the continued exposure to the futuristic noises which almost melt into a proper beat provided by electronic percussion lead us to an ending that truly seems to depict a rebirth. Whether the protagonist has actually died and been reborn, has transferred their mind into an artificial vessel or just found a new ray of hope for the future is hard to tell. What is most important is the emotions evoked on this journey, the experience of the listener as they travel through the varied landscapes created by Randal Collier-Ford. After years of experimenting with just about every angle of the dark ambient genre, Randal Collier-Ford has learned exactly how to move our minds in the way he intends. The story is meant to be elusive and cryptic. But the emotions are real, the experience is authentic. Whether any of us listeners will one day crack the code, and figure out exactly what the hell is happening on this trilogy is secondary to the experience of enjoying it for what it is, a work of aural art. Highly cinematic at times and down-right musical at others, Promethean is a pleasure to experience in its entirety.